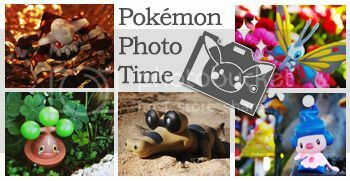 Another round of pokemon photo time! Good morning collectors, today I bring you another batch of photographs I took of these wonderful figures! The mailmain woke me up today, but with a pleaseant surpirse! The uber rare cd (anyone know how made were made?) cost me.. a lot. I don't want to say, because people already think I'm crazy. It was one of those eBay finds that you don't sleep for the week before. Keychain was also a eBay find, so I'm not even 100% sure that it's legit. So if there was merch, and more importantly, if you are willing to sell it to me, please let me know! I figure there had to of been a t shirt or something that they sold, right? I didn't actually get to see it, so I need more merch to fill that void in my life. And just incase I'm not the only one who loves the cheesy goodness, some kind hearted soul posted the ENTIRE LIVE SHOW on youtube. HERE is part one of seven. There's also a making of video HERE that I am currently watching, and is what inspired me to make this post. First I have a question. I'm looking to make my first attempt at sewing a pokemon plush, and I was wondering if anyone knows of any patterns that I could use. I want to start with something simple, like maybe Snorlax or Furret (at least they seem simple to me). If anyone has any tips or patterns that I could use, it would be greatly appreciated! Now to my collection so far. I do have a few more plushes coming in the mail soon, but as of now, this is what I have. Just thought that I'd post the photo shoot I did with them. Custom Delcatty plush made by hottiehulio. She did a fantastic job! I think that if an official Delcatty plush existed, this is what it would look like. Lila and Delcatty. I know the Delcatty is slightly out of focus, but Lila kept moving, so this was the best shot I got. For anyone who would like to know, Brian in Japan has just launched his new iPhone/iPad app called Rate My Poke Plush. 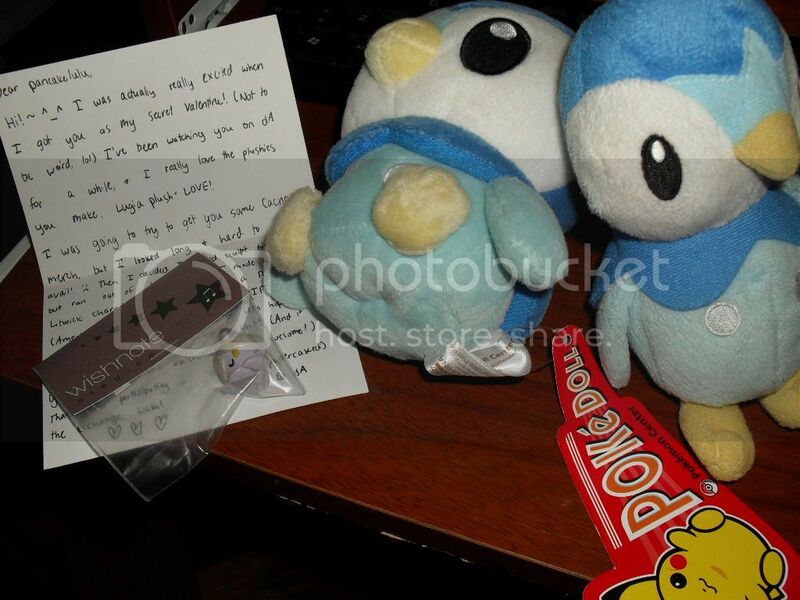 You can take photos of your Pokémon plush in any creative way possible and put it up for others to view, rate, and comment! There are new photos added daily; take a look here for more info! Sounds like fun, right? If only it was free to view! This may be a stupid question, but are card pocket sheets made for 4 pocket ringed binders? Or are 4 pocket binders made with the sheets sewed into the binding? I'm asking because I'm getting ready to sale a lot of my TCGs and only collect a few, so I want to downgrade to 4 card pages instead of 9. It sounds crazy, but a lot of the binders I have looked at didn't have the rings where you could insert your own sheets. I'm hoping I can find a ringed one for a reasonable price if anyone has one for sale. I've done this before and will be doing it again if there is enough interest. I will be going to NYC in the next month and a half or so and am willing to do a run for Pokémon merchandise similar to the ones I have done before. I show my growing pokemon collection and do reviews on pokemon items too, i hope you check out the channel because if your a pokemon fan im pretty sure you will like this channel. I'm calling you out, collectors! Which one of you has this? I know someone does. 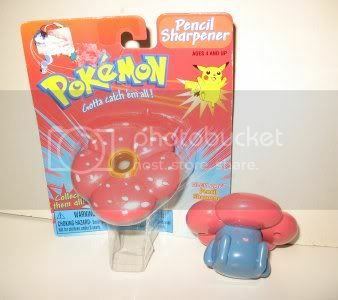 This is a darling Vileplume pencil sharpener. I used to have one as a child, and for a while, Vileplume became my favourite Pokemon. I do not have any moneyz (sniff), but I still would like to at least know if someone here has one that they can part with SOMETIME. Just a quick post to remind everyone about my ongoing sales of Dragon Selection and BW2 Kimewaza Kids! 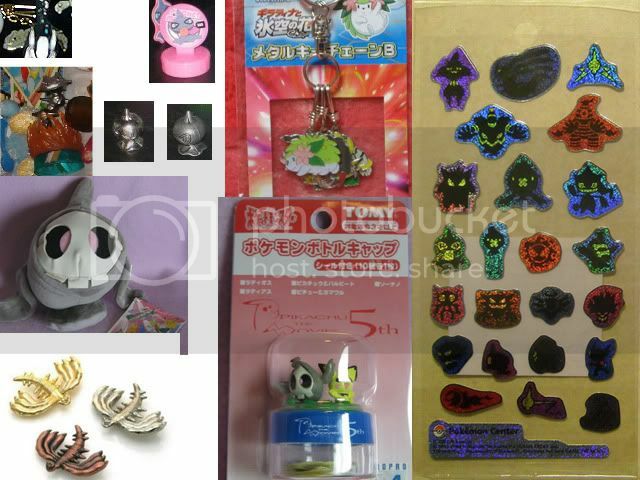 The kids are $9.50 each shipped anywhere (Pika is $6.00 shipped), and the Dragon Selection stuff includes packs and a sealed box! Please check it out by clicking anywhere on this post! POKEMON Systems of all around the world ! pokémon fan of this come here ! i am trying to find pokémon fan like me who try to collect pokemon systems of all around the world or nintendo systems ( i prefer pokémon ^^ ). i am trying so to find pokemon US systems , jap etc.. I want to get this Snivy plush for my friend's birthday, but since I'm not sure how easy they are to get now I'm asking before my transfer clears just in case I have no luck this time around. Minty condition with all tags please! And I need it shipped to Canada, but I'm going to ask it to be shipped directly to her house so I'd really appreciate it if you'd be willing to write (or even print) a personal note from me to include with the plush (and maybe use my address as the return address? Is this a bad idea/illegal? I don't know, tell me if so XD). I'd have it shipped to me and then ship it to her myself but it's already going to be late since her birthday is on the 16th. >o>; So I'd like to try and have it there before February is over, at the very least. I got two awesome things recently, a Nidoking custom and my Valentine's gift!! Okay so, im in tears right now watching Pokemon Live with Fizzycat. I literally can't believe how painfully pants this is LOL. Tears of laughter or pain, im not sure what i have right now. IM JUST GOING TO LAY IT OUT HERE FOR YOU ALL. 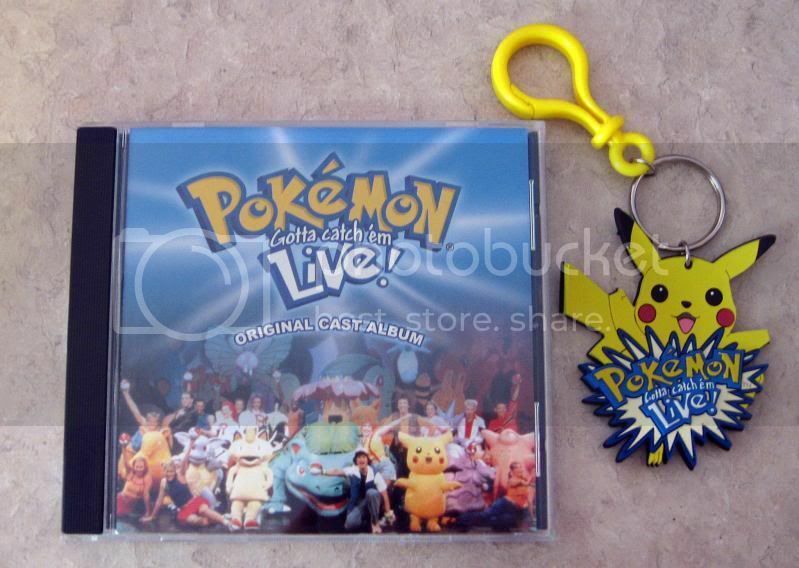 DOES ANYONE KNOW IF ANYTHING FROM POKEMON LIVE WAS EVER AUCTIONED OFF OR SOLD? Above you can see theres a Zubat and Golbat puppet used in the live show. Golbats wings flap and... well Zubat just looks like hes on a stick LOL. I would pay, thousands for these, id pay anything for these. ANNYYYY info on the costumes/props of this live show would be awesome. Its a long shot but, WORTH ASKING I GUESS? OKAY FIZZY IM COMING TO WATCH THE REST OF IT NOW, CALM DOWN, I KNOW HOW MUCH YOU LOVE IT. I got the Tepig & Pansage line Zukan sets last week, and I'm really hooked on them now, so is anybody selling other Zukan sets? EDIT: I was at Target today, and they had 4 Jakks plushies. Hey everyone, I just realized that I have a bunch of new stuff and it's been a while since I collection updated ;D I'm proud to say I made some really good progress with my shuppet collection and I can't believe I'm keeping up with the candle line merch! =;w;= Anyways, come have a look! Recently, I purchased a marshtomp plush, but there was a little issue.